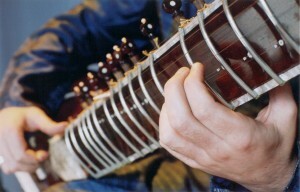 I’m very pleased that over the course of 2012 I’ve increased my sitar student numbers. I really enjoy teaching this amazing instrument and beautiful music and it’s great to be passing on some of my knowledge. I have learnt so much over the 20 years I have been studying this instrument and music and am very grateful that I have had, and continue to have such great guidance from Pandit Arvind Parikh who I have been a student of since 1999. 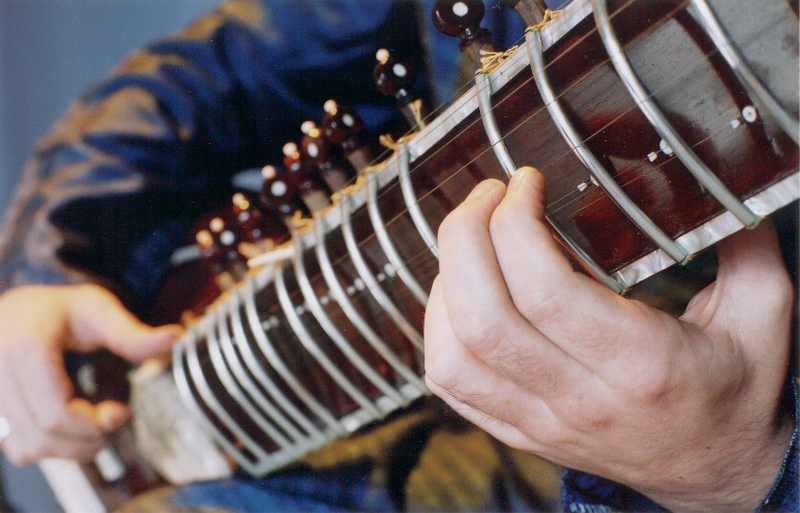 My journey into Indian music began at Leeds College of Music when I met Ustad Dharambir Singh. What a lucky meeting! I learnt so much in these early days and have Dharambir to thank for introducing me to Pandit Arvind Parikh. Both of these great musicians are disciples of the late Ustad Vilayat Khan, arguable the greatest sitar player of the 20th century if not of all time. I’m hoping that my Indian music teaching work will continue to grow. I’m also hoping players of non-Indian instruments might take some interest as there is much to learn playing Indian music on the guitar, violin, voice etc. Here’s hoping……….